And that’s when the girls stumble across a copy of The Art of War. 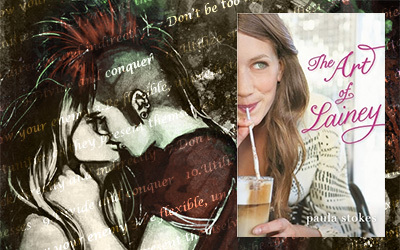 With just one glance, they’re sure they can use the book to lure Jason back into Lainey’s arms. So Lainey channels her inner warlord, recruiting spies to gather intel and persuading her coworker Micah to pose as her new boyfriend to make Jason jealous. After a few “dates”, it looks like her plan is going to work! But now her relationship with Micah is starting to feel like more than just a game. The Art of Lainey has the right amount of fluff matching the perfect amount of emotion. I read this book quite a while ago, but didn’t get the chance to fully review it, which is actually a shame because it is such an amazingly fun story and it deserves all the attention it gets (many of my book friends have fallen in love with it and with very good reasons). If you follow my blog, you might already know what this book is about from my teaser post – still, the truth being told, it is all that.. and then so much more. 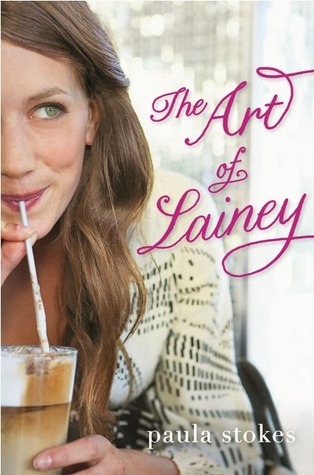 “The Art of Lainey” is one of my favourite romantic stories in 2014, it has everything I want in a book: lovely & witty characters, great friendship development, a cute love story that builds slowly and a plot that can make me smile, even giggle like a kid in a front of a jar full of candies. Fun, fun, fun and then some more fun – that’s all I’ve been having while reading it; there were butterflies dancing happily in my stomach and my face hurt a bit from so much smiling, and I can’t really ‘complain’ because that’s exactly what I’ve been looking for. Lainey was the typical teenage girl – you know, the one that feels like the world will simply stop spinning if she loses the love of her life. But what I really think is that she didn’t like change in general; she was scared and insecure and she didn’t know who she was outside the protective shell of her old love story. She had the perfect future already planned and she didn’t know how to deal with the unknown. It was a bit frustrating to see how little she thought of herself and how highly she thought of Jason (her ex-boyfriend.. and of his sister as well – a character that liked even less), but we did get to see her grow through the story and that makes her flaws more real, more authentic and so it gives her a lot more depth. Thankfully, Lainey shares a cute and honest friendship with Bianca (aka Bee), someone that sees her for who she really is, and even though she doesn’t agree much with Lainey’s lines of thoughts, Bee tries to help her the best she can. And she comes up with the perfect solution for Lainey – the art of war. All they need is to win a few small battles and Jason will be hers again. If only things would ever be that simple. Many of you have been broken-hearted at some point, right? Right! I am no exception, and the thing is that I wished for something like this in those moments. “The Art of Lainey” is such a cute story about healing your heart’s wounds and moving on. And it’s not only the destination that matters, but the journey just as much. It’s not about who wins the war, it’s not even all about the strategy behind it.. it’s about knowing that at the end of it all you are still in one piece, stronger than ever. Love (and the loss of it) can’t define you, holding on to it won’t define you either. But knowing when to fight for ‘love’ and when to move on, to let it go, that’s something worth finding on your own. And what I liked about Lainey is that even though she had a broken heart she never lost hope; deep-deep down she was still able to acknowledge her own worth though she was confused and lost for a while; she never forgot to smile, to enjoy her life, to keep her friend close. Falling out of love can be painful, but it’s also meant to make us better, stronger; falling in love is well worth it because (and even though) the first love won’t necessarily be the last – and that’s not necessarily a bad thing. Meet Micah – full of contradictions, nothing like a guy Lainey would ever fall for, he helps her in the quest to win back their exes through the art of jealousy. “Not sure how you can get them to him without looking like a crazy stalker chick,” Micah says. They fake a few dates and discover that there is more to them both, more to war than strategy, more to life then trying to build your future based on a broken past. Making rules and then breaking them, taking one step further and 2 steps back, they build from scratch a cute friendship, they help each other and enjoy doing so, they play a game of pretend until the lines between what’s true and fake blur and they realise that the world never stopped spinning – at all. If there is a feeling I love the most in this whole world, that’s the ‘falling in love’. The discovery, the insecurity, the shyness and the emotional carrousel – well, that’s something worth going to war for. I loved the differences between Lainey and Micah, I loved how unique and fun their dates were, how many new things they found about each other, I loved how swoon worthy the transition from perfect strangers to friends and then to ‘more’ was. I loved how perfectly they fit together, how fun and cute their banter was. I simply adored them individually and also as a couple. Back in the days I would have killed to have a guy like Micah help me win back (what seemed like) the love of my teenage life – and I wouldn’t have minded falling hard for him either. I might still have a bit of a fictional crush on this Micah guy and if you read the book you will understand why. Happy, this is what this book made me feel. 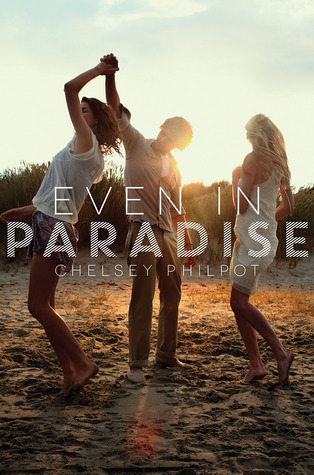 It was optimistic and fun, it made me smile, it made fantasize about my own old/lost love stories and the fun I could have had, even on my own expenses. I am also very fond on great friendship and in this book this concept really shines – true, deep and honest, that’s the friendship every person would deserve to have in their lives. All this being said, this is a brilliant contemporary story, with absolutely adorable (main and side) characters, a sweet love story, a fun intake on the Art Of War (which I am not actually a big fan of, but still worked wonders here), beautiful dialogue AND an honest, witty writing style that went straight to my heart. CONCLUSION: Absolutely fabulous, I can’t wait for Micah’s side of story in the following novella (Infinite Repeat – and I will probably talk more about this wonderful character and his heartbreaking story when I get to review it, as I think that my post here might already give a ‘spoilery’ feeling, and I want to leave some things to you to discover on your own). 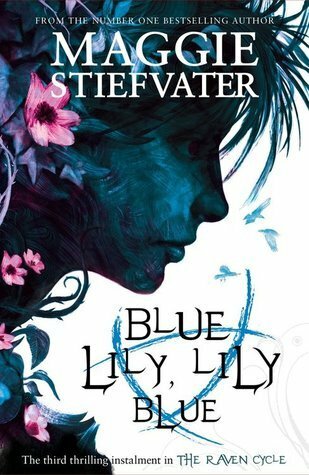 Book Source – won a signed copy in a giveaway at The Reading Nook Reviews, thank you so much! Can’t have enough of this story? It took Micah and Lainey half the summer to realize they liked each other in THE ART OF LAINEY. Now watch them realize they love each other in NEW MUSIC, a thirty-page short story that takes place a couple of months after THE ART OF LAINEY ends. Oh, I wish I had this in the actual book. So sweet! There’s a song I love from Dave Patten (singer and author of Run of the Mill) – it’s called “Stop” and it fits the story. Ooh man! I saw this at Target the other day and almost picked it up… I should have. Dang it. lol. I will have to now! That spells out awesome in my book! I’ll keep an eye and see what you think of it when you get to read it 😀 Hope you like it too! Thanks you for another great recommendation, Ari! It’s all my pleasure. You know how happy it makes me to find books that I love – that make me smile, that make me giggle… well, I don’t mind if they make my heart hurt a bit (if it’s well worth it). Hahaaa, I don’t want it to be over either.